Fly tying is another passion of mine, inspired and perfected by my training as a biologist and ecologist. Please contact me with questions about available patterns and pricing. 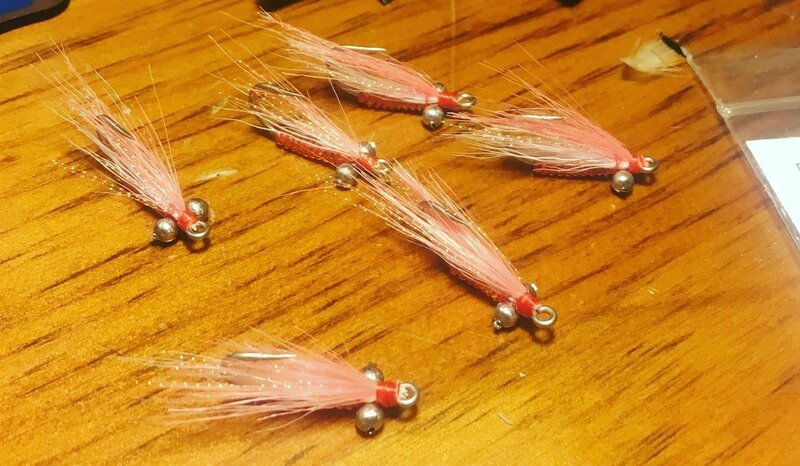 See some examples below for some of my favorite flies I tie for the Maine coast. 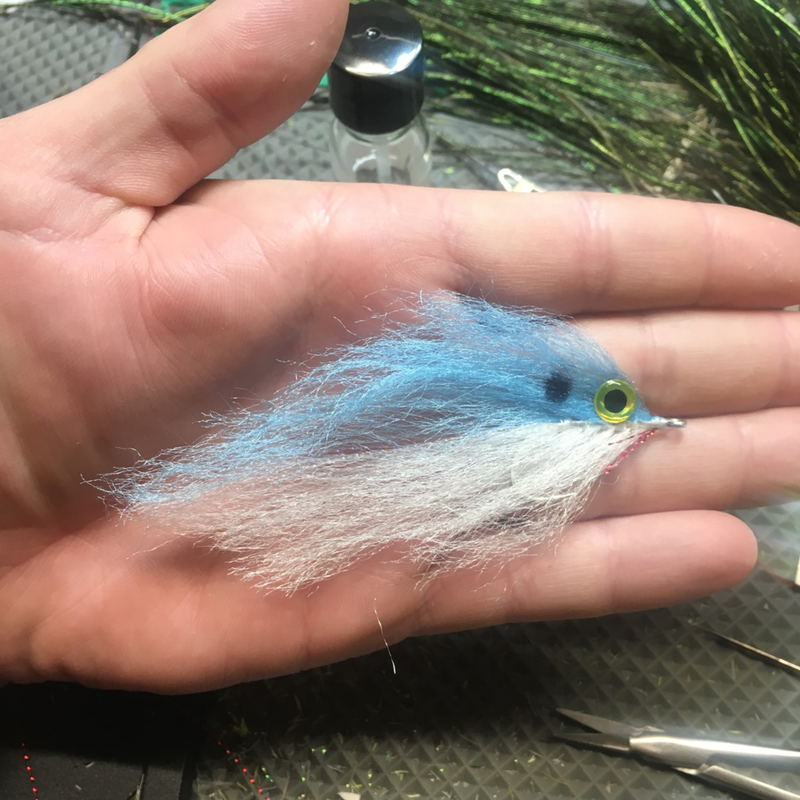 Herring deceiver, new for 2018. Tied on a laser sharp 3/0 Gamakatsu hook. Mackerel deceiver tied on a 1/0 Mustad hook. Bunny strip tinker mackerel flies tied on size 2 TFS hooks. Ray's Fly is among the simplest and most effective striper flies I've ever used. Congo Hair pogie fly tied on a 3/0 Gamakatsu hook. 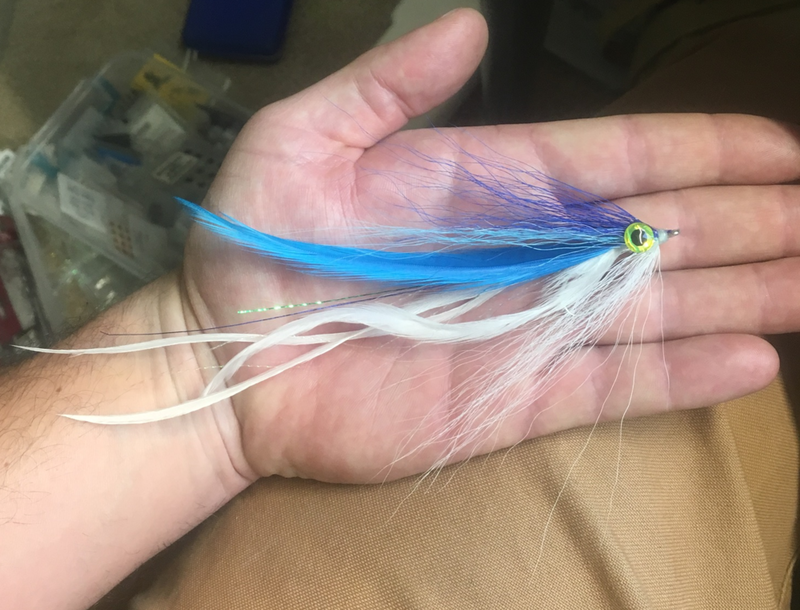 Hering fly tied with Congo Hair. Jack Gartside collection: various gurlgers and a chartruese and white Beastmaster. 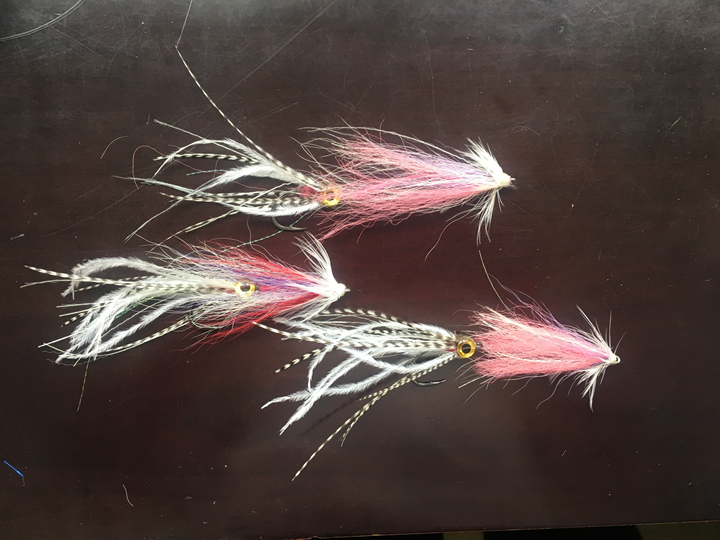 Crab flies are deadly on stripers cruising the sand flats of New England. 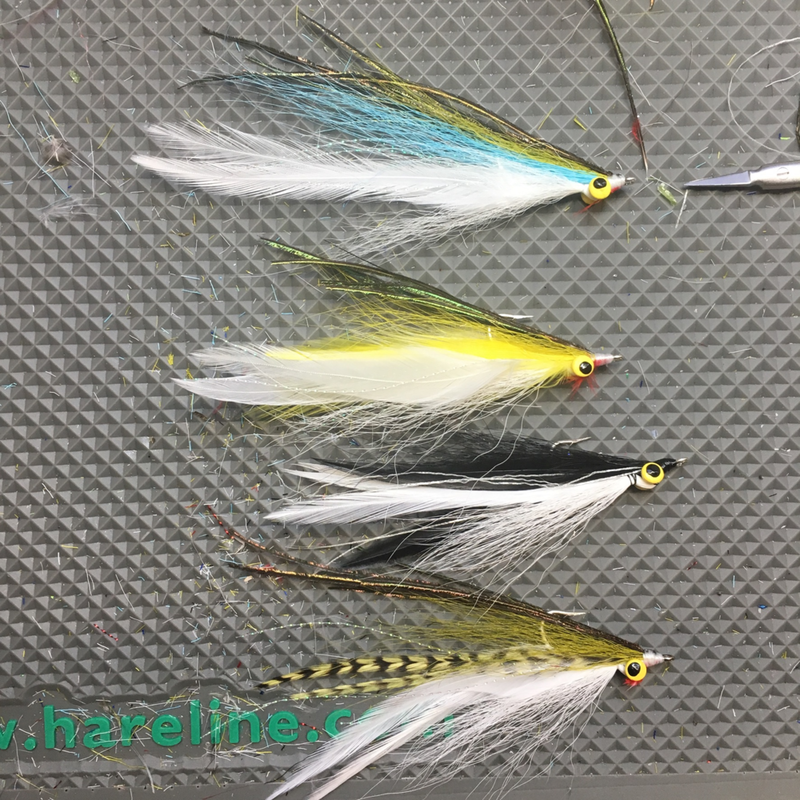 Crazy Charlies are famous as flies for bonefish, but did you know that they are irrestitable to pollock and mackerel? "If it ain't chartreuse, what's the use?" - Lefty Kreh. Clousers are among the most popular and effective flies for any saltwater gamefish. Dark flies are just the ticket to targeting things that go bump in the night. 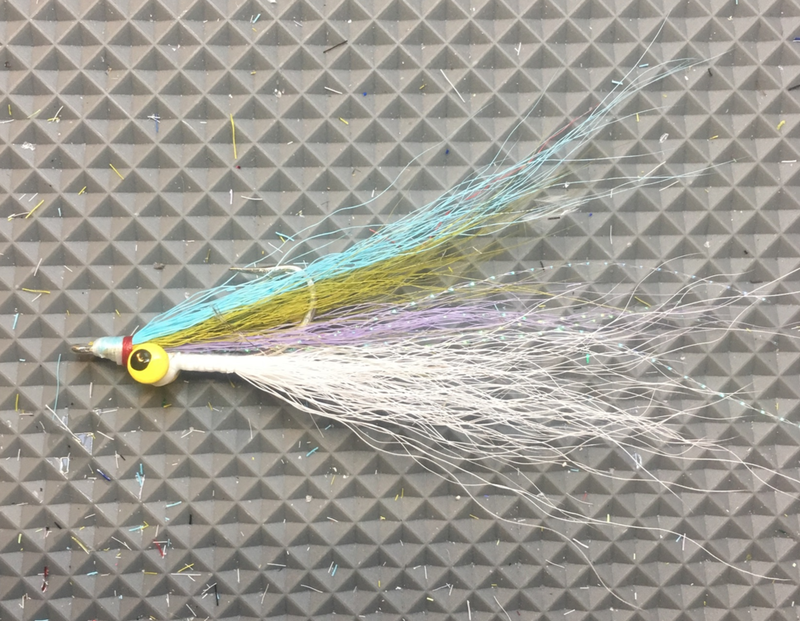 A rainbow clouser to imitate rainbow smelt. 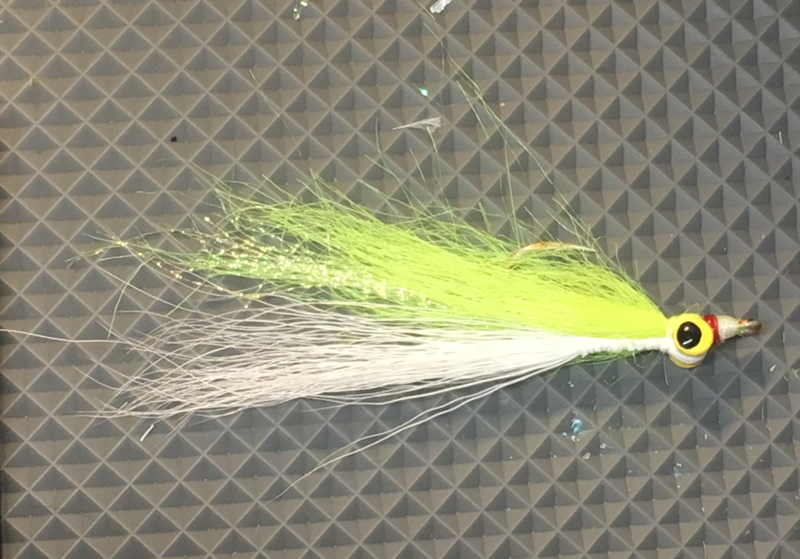 2017 craft fur herring deceiver.